Ventilator-associated pneumonia develops in individuals who are on ventilators for one reason or another. A ventilator is a machine used by those who many need help breathing, and it attaches a tube from the machine to the patient’s mouth, nose or a hole in the front of the throat. For those that need to be put on a ventilator, they are often very sick, or it is needed during/after surgery. The issue with ventilators is that an infection can occur if germs get into the tube and reach the patient’s lungs, leading to a possible case of pneumonia. 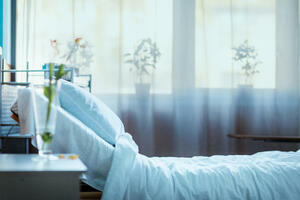 The risk of infection for those on ventilators is very high, as it is easy for the germs to go to the lungs. Pneumonia is the second most common infection that originates in the hospital, in the United States. VAP can occur in those who are receiving mechanical ventilation for more than 48 hours. There are two types of ventilator-associated pneumonia, early and late VAP. Early-onset VAP occurs 48 hours to 96 hours after intubation and can normally be treated by antibiotics. Late-onset VAP occurs after the 96-hour mark and is often resistant to antibiotics. VAP can occur when colonized bacteria is breathed into the lungs, which can come from the oropharynx, sinus cavities, nares, dental plaque, gastrointestinal tract, patient-to-patient contact and the ventilator circuit. For those on ventilators, the endotracheal tube (through the mouth into the trachea) can provide a direct route for bacteria to get into the lower respiratory tract. Endotracheal tubes are known to cause an abnormal interruption between the upper airway and the trachea. When bypassing the structures of the upper airways, it allows direct access of bacteria to the lower airways. The upper airway is known to help filter the air we breathe in, as well as adding humidity to the air. Endotracheal tubes can provide a place for bacteria to bind in the trachea, which can increase production and secretion of mucus. Oral secretions can also gather around the cuff of the endotracheal tube, forming a biofilm. Starting around 12 hours, the biofilm contains a large number of bacteria and can spread throughout the organ or the body. What Are Hospitals Doing to Prevent it? There are a few steps that hospitals take to prevent their patients from developing ventilator-associated pneumonia. One large step that hospitals should take is for the staff to wash hands with soap and water or used an alcohol-based solution before and after touching the patient’s ventilators. Placing a sign on the patient’s door can help remind staff to wash their hands, wear gloves and even put on protective gowns before entering the room. Unless the patient is unable to, the hospital should make sure their head is positioned at a 30 to 45-degree angle. It can also be beneficial to turn the patient every 2 hours to increase pulmonary drainage and decrease the risk of developing VAP. Staff should also regularly check on the patient’s ability to breathe on their own, as the sooner they are off the ventilator the better. As bacteria can build up in the mouth, regularly cleaning the patient’s mouth and the machine can lower risk of infection. 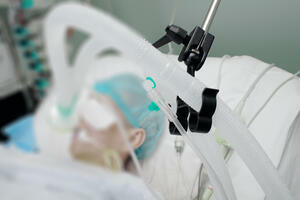 When applicable, replacing part on the ventilator can also lower the risk of infection. What Can I (or Family/Friends) do to Prevent it? Most importantly, smoking can increase the risk of infection, so quitting before surgery is a good place to start. Smoking also reduces blood flow, so recovery may take longer, and it is possible that incisions can become infected. Smoking is a large cause of heart attacks, so there is a high risk of suffering a heart attack during or after surgery. Also keep an eye on hospital staff who may be helping you, as they should always wash hands or use alcohol-based solution before they touch you or the equipment you are using. If you do not see them clean their hands, request they do so in order to lower your risk of developing pneumonia. You (or your family/friends) can also ask them to raise the head of the bed to 30-45 degrees, ask when you will be able to try breathing on your own, ask to keep hands clean and ask about how often your mouth will be cleaned. As every patient that is on a ventilator is as risk of developing VAP, it is important that there is an accurate diagnosis quickly. A doctor or nurse may be able to detect signs of ventilator-associated pneumonia, such as fever (or low body temperature), sputum containing pus and hypoxemia. As many who are on a ventilator are sedated, it is important for medical professionals to keep an eye on these levels in case anything changes. Common diagnosis’ methods include radiographic findings, clinical findings, microbiological test of sputum, and bronchoscopy. Chest radiographs are also used when diagnosing patients with VAP but should never be the only methods of the diagnosis. If you still get sick with pneumonia, you will most likely be treated with antibiotics that are specific to the germs causing your infection. Your doctor will determine what antibiotics will be best for you, as well as how long you will be treated for. Though ventilator-associated pneumonia is preventable, it plays a big role in the health of hospital patients on ventilators, as well as an impact of morality. It is important that both hospital staff and patients take preventative measures when dealing with the risk of VAP. Getting diagnosed with ventilator-associated pneumonia is not a death sentence, as long as it is caught early, treatment can kill off any bacteria. If you or your loved ones have concerns about VAP, speak with your doctor about what will be done to minimize risk.